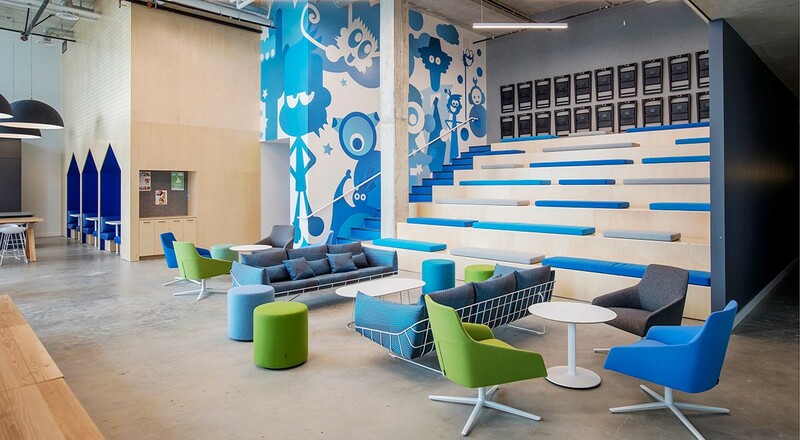 DHX Media is a producer of award-winning children’s animated and live action television and online content. 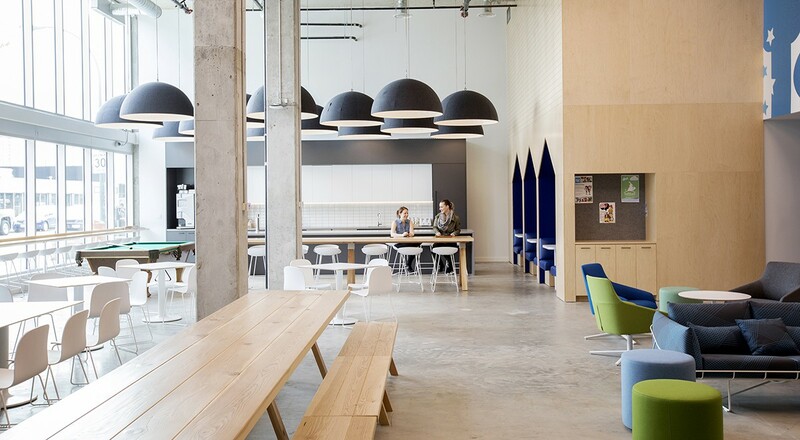 For their 75,000 square foot offices in Vancouver, Evoke International Design created low-light production areas surrounded by bright spaces to foster collaboration and wellbeing. 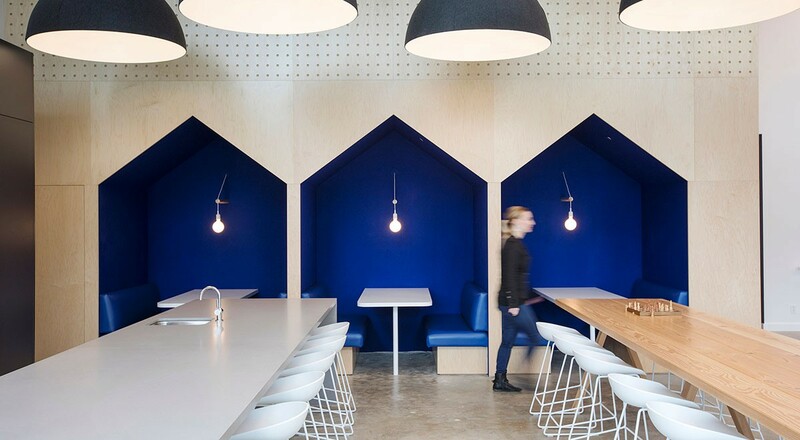 In a café space, neutral maple walls contrast a series of house-shaped booths lined in 3mm Wool Design Felt in a bold blue. The perfect spaces to tuck yourself away, the felt provides softness as well as a quiet, out-of-the-way space. 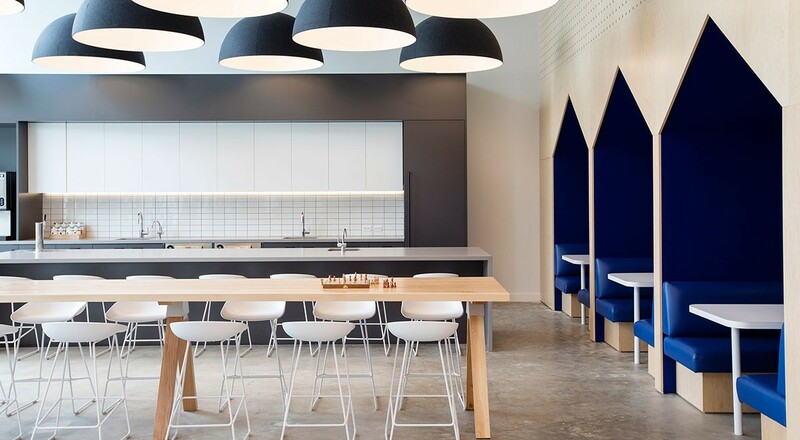 Nearby in the town square space, felt in a neutral grey covers the back wall and a niche above some base cabinets. 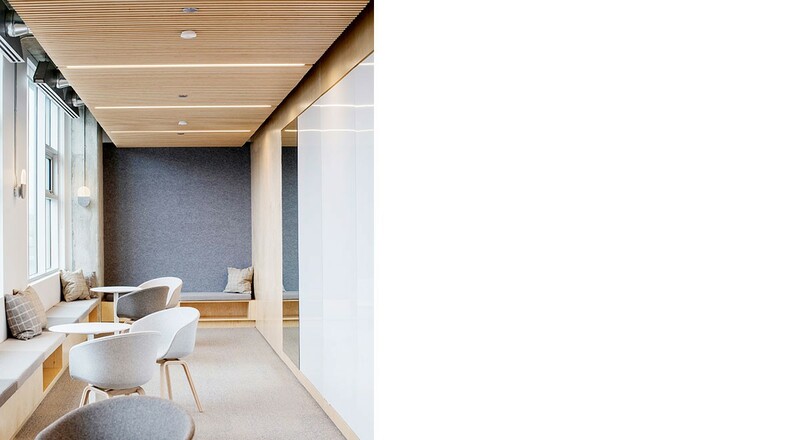 And in an informal lounge area, the same grey hue of wool felt creates softness and all-natural texture on a wall along some bench seating. For more information on the product featured, please visit 3mm Wool Design Felt.